I might of had a little too much to drink last night. Two pomegranate martinis, a bit of wine, 1/2 a tequila drink later and what a headache this morning. I'll be juicing & making shakes all day which means I need to step outside and get some fresh veggies. Juice orange & grapefruit. 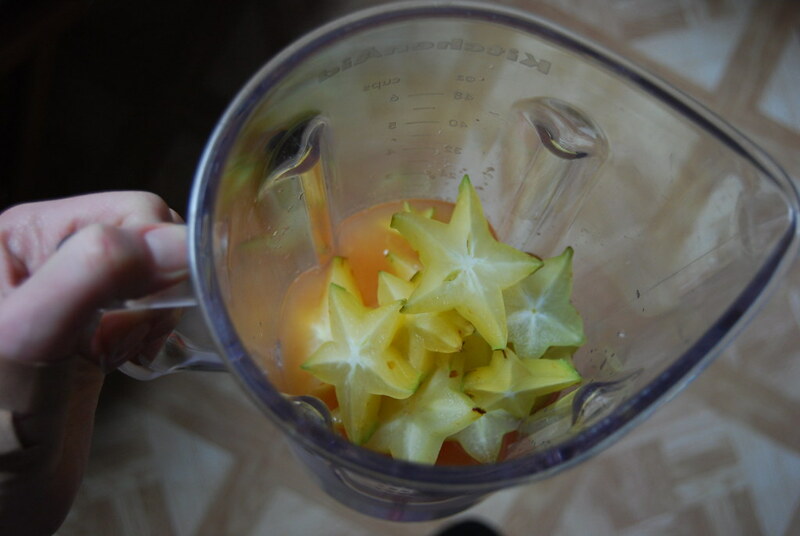 Cut up star fruit & blend all. Enjoy.